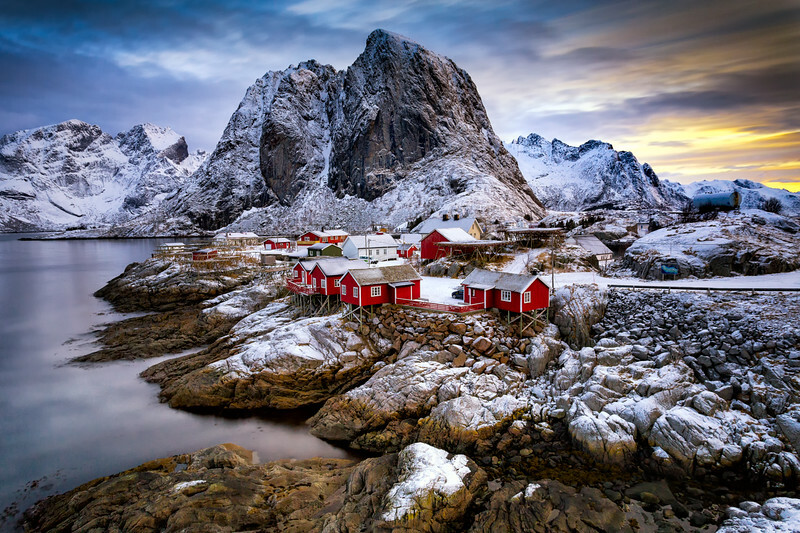 The Lofoten Islands are located roughly 100 miles north of the Arctic Circle off the west coast of Norway, separated from the mainland by the waters of Vestfjord. Although there are small airports on the islands the most convenient international airport is at Tromso which means a 360 km drive to reach the southern most part of the islands around Reine. It is however a stunning drive to reach some of the most stunning scenery.